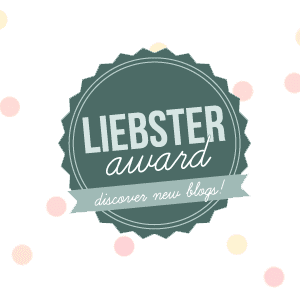 I am so blessed to have been nominated for the Liebster Blogger Award again! I thought it would be fun to go ahead and complete it again because so much has changed since the first time I was awarded it by Laura. Thank you to Brooke at Wide Open Spaces for nominating me!! 1. I read better from a Kindle than a book. 2. I run at least 4 times a week. 3. I am a morning person - definitely NOT a night owl. 5. I have the smallest feet everrrrr! 6. I played collegiate soccer and my number has always been 13. 7. I prefer pie to cake. 8. I am an extreme optimist. 9. I do for others 100x more than they do for me. 10. My family lives way too far away and I miss them everyday. 11. I love to craft, sew, cook, - all the domestic stuff. 1. Where did you grow up? I grew up in upstate NY near Lake Placid (where the Olympics were held twice). I am a mountain girl from the ADK. 2. How would you describe yourself in one sentence? I am a sensitive, sentimental, and caring. 4. Do you like your job? LOVE my teaching job. 5. What is your favorite recipe? My favorite recipe is our family's broccoli casserole that is made for every holiday/family gathering. 6. What would be your #1 tip for bloggers? Keep it real. Be you. Let people hear your inner voice. 7. If you could change one thing about yourself what would it be? Hmmm...I don't think I'm perfect, but I have learned to appreciate all my qualms for the most part. I guess I wish I could stick with a fitness regimen and not fall off the wagon. I do so well and feel so good about myself and then I let myself go. 8. Why do you blog? You know, I started blogging as a creative outlet and it still is that for me, but I think the reason I will continue blogging is because of the amazing friendships, support system, and networking it has provided me. 9. What are you most afraid of? In the spirit of keeping it real, my biggest fear is that I won't be able to have children when the time comes that we decide we want them. 10. What's one thing most people don't know about you? Gosh, I feel like I really put myself out there a lot, but I guess something that I really struggle with and I'm not proud of is my poor body image. 11. Favorite makeup item? Oh! I'm excited to share this one! I just recently got a facial for my birthday (love that man) and learned so much about my skin! So, my favorite makeup items are actually my new skin care items: Yes to Cucumbers face wash and face lotion, Yes to Carrots night cream, and Yes to Cucumbers face mask. If you have sensitive or dry skin, try this! 1. What are your top 3 blogs to read? 2. What was the very first blog you found? 3. What is your favorite hair product? 4. If you could have an entire day to yourself, what would you do? 6. You have 20 minutes to throw an outfit together, what do you wear? 7. Do you juice? What is your favorite recipe? 8. Where did you buy your favorite pair of jeans? 10. List 3 things on your bucket list. 11. What is your favorite flavor of ice cream? Thank you so much for the nomination :) Loving your blog so far and can't wait to follow it! I def read a lot more now that I have a Kindle than before. And between books, I can also play some "Angry Birds," hehe.